Watch for more design changes in the coming months on the streets of the Modesto Design District and the Graffiti Cruise Route. 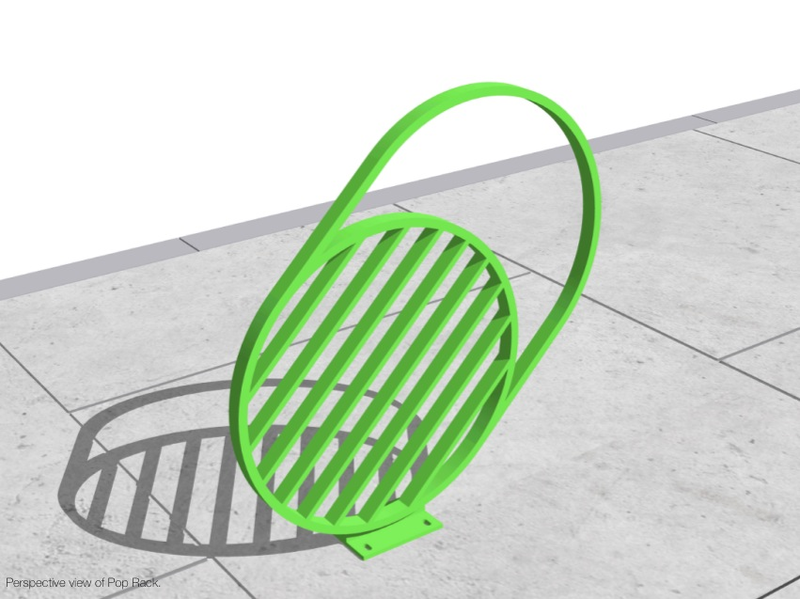 The Downtown Design Group has selected three artistic bike rack designs for the area and they are being fabricated now. Though sites are not yet been selected, installation is set for early September in time for the architecture festival especially Park(ing) Day, September 19. 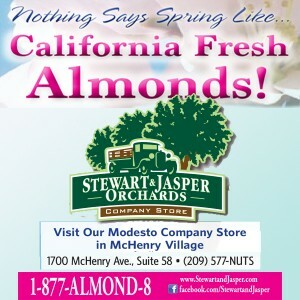 The three selections come from a field of 10 entries from all over California, several from Modesto. 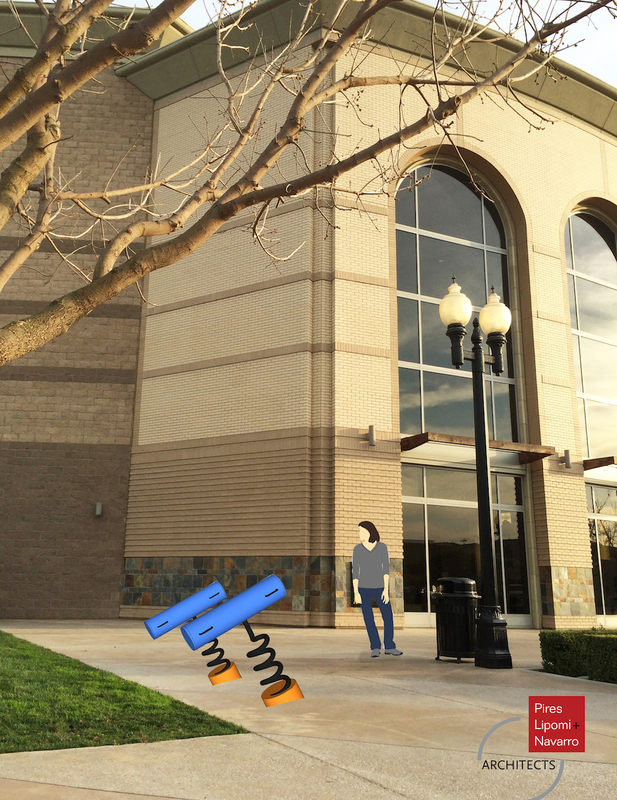 Funds for the project are provided by Artplace America through a grant to the Modesto Art Museum. The museum is working with the city to develop an art policy that will open the door to future projects and guide the city in the selection and installation of city-owned public art. This project is a test case for the policy. The entire project is part of the museum’s Building a Better Modesto program, using public art, architecture, landscape, and urban design projects to improve the quality of life in our city. One additional piece of experimental public art was recently completed. Thanks to Never Boring Design and Jordi Camps, the utility box at the corner of 10th and J has been covered with four wraps each depicting a painting by Jordi. Go by and have a look.